Most brands already make amazing machines. In fact, there’s so much parity of quality in the American off-highway equipment marketplace that differentiators are often hard to find in machine categories. That’s what makes our Innovative Iron Award winners so special. In the last 12 months, these manufacturers have changed the marketplace and even broken the mold in highly competitive markets that are already filled with excellence. Global manufacturers from Kubota and Caterpillar to JLG and JCB have released products — machines, engines, OEM tech and even apps — that have set new standards for power, versatility, efficiency and design. Our editors have traveled across the country to meet these manufacturers, operate their new products and give detailed reports both in print and online. With this article, we do a final salute to those companies that have changed the equipment market over the last year with their unique, interesting and innovative products. Keith Gribbins is associate publisher of Compact Equipment. 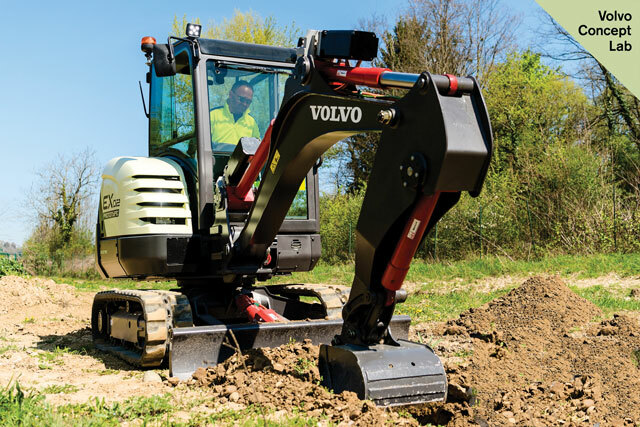 Engineers at Volvo Construction Equipment are constantly pushing the envelope. This year, Volvo CE pushed those concepts into the compact realm. The EX2 fully-electric compact excavator prototype was highlighted at Intermat in April (a French construction trade fair). 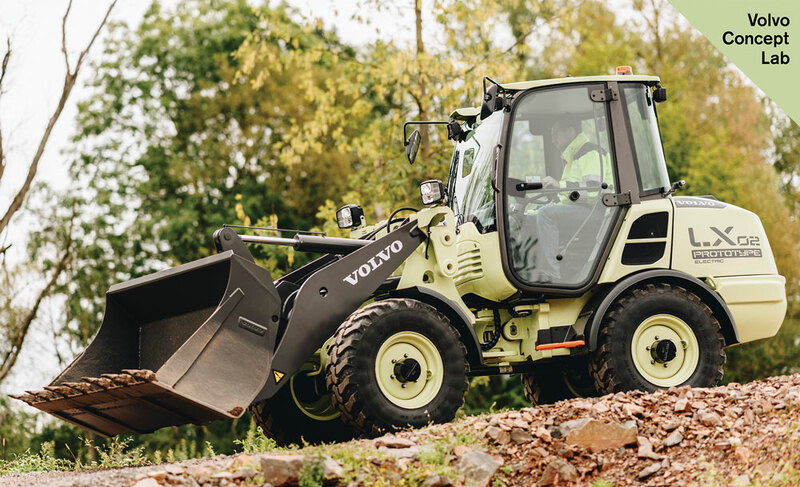 In September, at the Volvo Group Innovation Summit, the company announced the LX2 electric compact wheel loader concept vehicle. Both units offer zero emissions, higher efficiency, lower noise levels and reduced total cost of ownership. Both replaced the combustion engine with lithium ion batteries, which store enough electric energy to operate each unit for eight hours in intense applications like digging. These prototypes are not available to the public, but their technology will hopefully help spearhead the commercial realities of electric units in the near future. We can’t do the design of these models much justice in this little paragraph, so go visit volvoce.com for more info. READ MORE ABOUT VOLVO CE HERE, JUST CLICK IT!